Back in 2010, I reviewed the graphic novel, A.D.: New Orleans After the Deluge, a beautiful and challenging recounting of the devastation of Hurricane Katrina on that city. I sad that the graphic novel might be the most fitting medium through which to examine those events because it lets us linger on and contemplate at greater length the images of loss and brokenness, while news, film, or television footage rushes over them. In that similar vein, graphic novels might be an ideal medium to examine film, its constructs, and their ability to work on viewers. Edward Ross’ new book, Filmish, makes a strong case for this. 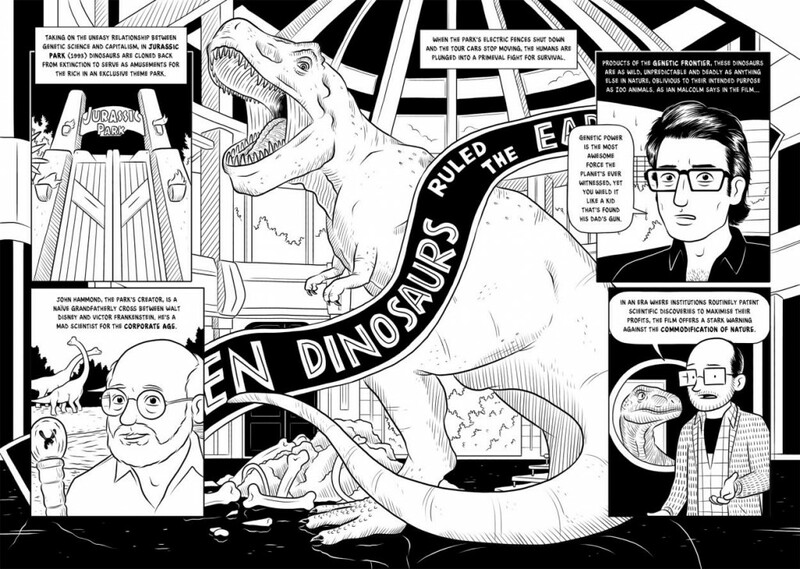 In Filmish, artist and film historian/scholar Ross gives us an expansive and occasionally in-depth history of cinema. It is consistently insightful and frequently funny, as Ross draws himself into some of the more memorable scenes in the history of film. 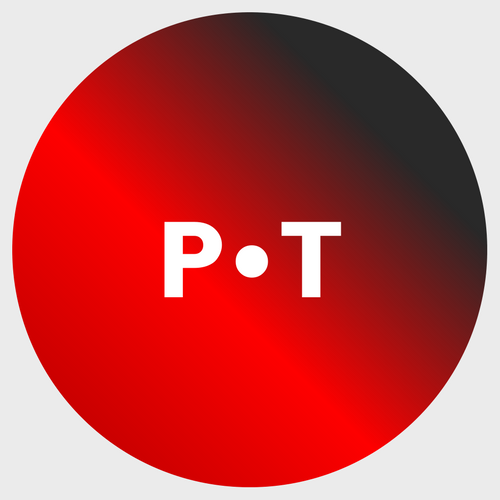 Along the way, he highlights both well-known and less familiar films from every era of film history—the silents, the studio era, the indies, the rise of the blockbusters, and the current digital era. He gives attention to both Hollywood and global productions. Ordering his book in this way, Ross adds depth to both his analysis of each film and the themes themselves, showing how they change or persist across decades. In his brief discussion of each film, Ross takes a key scene from each film that captures its essence. Juxtaposing these scenes adds fresh insight into both the films and the genres of which they are a part. While Ross has an encyclopedic knowledge of film and engages prominent historians and scholars, there’s an accessibility here that will prove beneficial for even the most casual film fan. As a result, Filmish works at all levels and would be especially helpful for ministers looking to engage their congregants on a deeper level around film and television. With conversations about terrorism and political elections dominating the news and social media (much of which is entertainment—horror or comedy), it’s important to remember how messages are constructed and mediated. People of faith need to be able to see behind the curtain now more than ever. 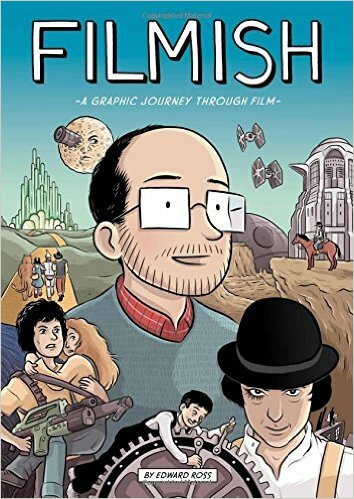 Filmish (2015, SelfMadeHero) is available on Amazon.